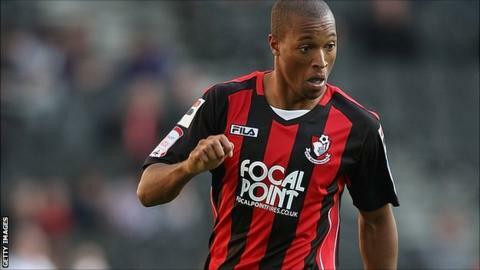 League One Portsmouth have signed Bournemouth striker Wes Thomas on a month's loan. Thomas, 25, has only played three league games this season and is yet to score for the Cherries this term. Last season the striker scored 11 goals for the Cherries after joining from Crawley Town in September before making the move permanent in January. Portsmouth manager Michael Appleton has been eager to add a striker to his threadbare squad for a number of weeks. "He's someone who knows this league well and we're grateful to Bournemouth for allowing him to come here," said Pompey boss Michael Appleton. "I was impressed with Wes when he played here in August, but I also watched him on a few occasions last season and he always looked good. "He's someone with energy and a decent work ethic who's always comfortable receiving the ball - he's a real threat."